The purpose of this project was to focus on what we could do in the near future with this area called Salamander Swamp. Salamander Swamp is located behind the new tennis courts and behind the shot put area right next to Shelby Stadium (Figure 1). There are a lot of things that could be done with this area and the main thing was to pick one that we can focus on and be able to do in a short time. PH and temperature of the stream was taken from upstream to downstream. A clean up was done for the area to get rid of a lot of the litter that was destroying the wetland. Finally, a plan was made to focus on removing the invasive species of honeysuckle in a small area of the Salamander Swamp. PH and temperature was taken from the stream using pH paper and a thermometer starting upstream and going downstream. Area 1 was upstream by an opening by the sidewalk having a pH of 7 and a temperature of 48°F, 8°C (Figure 2). After area 1, the stream goes dry till hitting area 2 that was at a fork providing a pH of a little bit over 7 but not halfway, and a temperature of 45°F, 10°C. This area had little puddles of sheen, some type of oil that you can see really well when the sun what shining on the water (Figure 3). Next going downstream, area 3 had a sewage smell within the area where this part of the stream gave a pH of greener than 7, pretty close to 8, and a temperature of 56°F, 13°C (Figure 4). Finally, area 4 had a red coloring in the area that could be iron or oil sheen from runoff, but this area gave a pH of 7.9, higher than area 3 but not quite 8, and a temperature of 56°F, 13°C (Figure 5). Overall, has you move downstream, the pH and temperature of the water gets higher. To answer the question if this is a good pH, it depends on the type of wetland it is but if we are calling this area a swamp, the water in swamps is usually neutral with a pH of approximately 7.2. For temperature for wetlands it depends on the location. On April 12, 2015, we had a clean up at Salamander Swamp where we picked up a lot of litter for 2 hours. I picked this area because the part within the wetlands where there area a lot of cattails located, in this particular area there isn’t really any trash down there because that area is so hard to get too. That’s a reason we shouldn’t prove access down to this area because we don’t want that area to become a place where students would want to go down and drink down there or a place that will get filled up with litter because people don’t know how to throw away things. The area we cleaned up was located right behind the tennis courts starting at the tip of the upstream. Figures 6 through 11 shows pictures of the area behind the tennis courts of some of the litter that was there before the clean up. Figures 12 and 13 shows pictures that were taken at the clean up on April 12, 2015. Figure 1: Map of Salamander Swamp located behind the new tennis courts and shot put area. Figure 2: First area sampled for pH and temperature. Figure 3: Second area sampled for pH and temperature. Figure 4: Third area sampled for pH and temperature. Figure 5: Fourth area sampled for pH and temperature. Figures 6 & 7: Pictures of the area behind the tennis courts before the clean up. Figures 8 & 9: Pictures of the area behind the tennis courts before the clean up. Figures 10 & 11: Pictures of the area behind the tennis courts before the clean up. Figures 12 & 13: Pictures from the Salamander Swamp clean up that happened April 12, 2015. The big plan is to focus on removing honeysuckle so we can test if the area would do better without this invasive species. We want to pick one area and monitor the effects of the salamanders and what ever else is in the environment in this area. Then in the area that the honeysuckle is removed we want to plant native species in that removed area by working with Laura Fry and Lisa Daris from Olentangy Watershed- Flow. Bush honeysuckle is bad because it’s allelopathic where it produces chemicals that stop the growth of surrounding vegetation. Honeysuckle is an invasive species that out competes native vegetation. Honeysuckle has a competitive advantage over native plants because their leaves come out early in the spring and stay till late fall. Honeysuckle has rapid reproduction and obviously likes to take over. Honeysuckle creates a shade that is denser than native shrubs, which this also reduces plant diversity and nest sites for forest species, which can result in a decline in bird populations. The area I think we should do is the square area, which is by the wetland part with the cattails, and this is the area by a lot of the water, this area also has a lot of honeysuckle so I think it would give us good results. Another recommendation is to compare the sides of the stream of where the salamanders are by looking at the side by the road where there is a lot of noise and comparing this to the upper area of the swamp where it is quieter. Want to make fake logs for the salamanders to live in because the area is missing logs. Want to do an ORAM Score for the area during normal water levels. Another interesting thing to do would be a reptile study, snake study, frog study, and/or an aquatic invertebrate study of the area. To conclude, it would also be nice to do a bird study of the area and to think about putting a chimney swift tower in this area. I don’t know which project is more better to do by yourself, I feel like both have a lot of work that needs to get done so I want to do the one thats easier to do by yourself. So for the OWU Salamander Swamp I think the first step would be to clean up all the trash. Then to look over and get rid of the invasive species if there are any that the other group missed. So maybe the next step is helping the access to get the area better or creating a long term plan for habitat enhancement and use as an Ohio Wesleyan ecological research location. 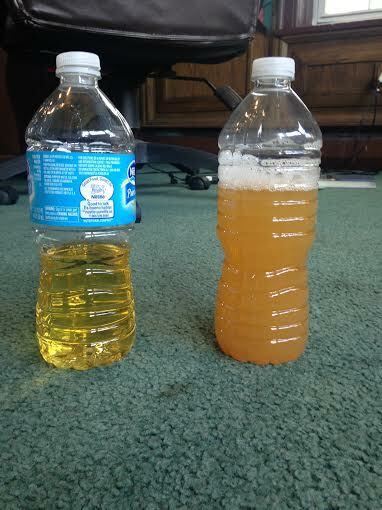 The Idea of pee-cycling for a final project was given to us by fellow fraternity brothers Jeffrey Rothenberg and Daniel Rohr.Unfortunately the two were unable to follow through with the assignment due to snow .Luckily they were able assist us in the conduction of the experiment this semester. Dan’s dog Richard even participated by being our canine urine sample. The purpose of pee-cycling is to investigate whether or not pee is a better plant growth stimulant than fertilizer. The project was difficult to do because of poor weather during the spring semester as well. It snowed all of March and snowed for half of April. But luckily there was a long enough period of decent weather that allowed us to conduct the experiment. The project turned out to be much more enjoyable than I expected because we learned so much. Who knew that human urine could be so useful and powerful? It makes sense when you think about it because all the vitamins and minerals we consume are able to be put to use. Overall the pee-cycling project was extremely intriguing and unique. Its crazy to see how useful urine can be to an activity such as gardening. Following the advice of our pee-cycling Youtube sensation, we used the method of applying our gallon fertilizer of 6 parts water, 2 parts urine. We applied the fertilizer once a day on both the plot of grass and on our two tomato plants. We used Burpee Super Beefsteak and Better Boy Hybrid seeds. Both plants seedlings were placed on my balcony to receive adequate sunlight from 3/30/15 to 4/27/15 . Ultimately the results we found were that after a week of growth and sprouting just an inch above the soil, the seedlings died. We believe this occurred due to the mass amount of nitrogen and other nutrients in the pot. The Miracle Grow soil fertilizer combine with the pee fertilizer proved too much for the baby seedlings. 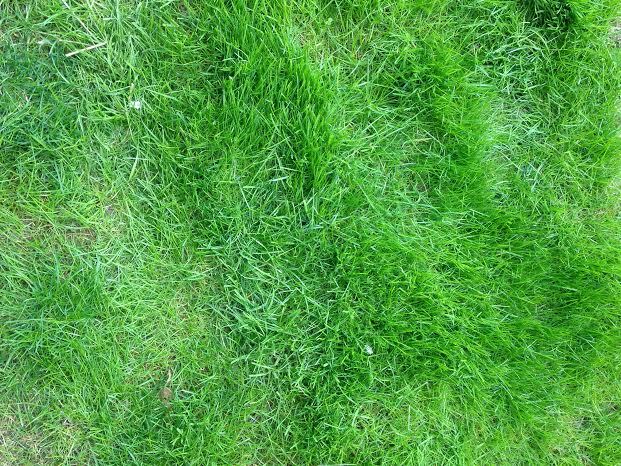 Our plot of 3×2 ft grass outside of the house had a very positive result of the other hand. We believe this to be because the heavy rain from the past month flooded the soil which helped to minimize the effect of the nitrogen and other nutrients from the pee fertilizer. If we were to do this again, we would not use soil fertilizer, but only our urine based fertilizer to feed the plants. This was an overall successful project because we learned more about alternative methods of growing. Maurer, M., W. Pronk, and T. A. Larsen. “Treatment processes for source-separated urine.” Water research 40.17 (2006): 3151-3166. Stenström, Thor Axel. Guidelines on the safe use of urine and faeces in ecological sanitation systems. EcoSanRes Programme, 2004. Karak, Tanmoy, and Pradip Bhattacharyya. “Human urine as a source of alternative natural fertilizer in agriculture: A flight of fancy or an achievable reality.” Resources, conservation and recycling 55.4 (2011): 400-408. Lienert, J., et al. “How farmers in Switzerland perceive fertilizers from recycled anthropogenic nutrients(urine).” Water Science & Technology 48.1 (2003): 47-56. You are currently browsing the Environmental Geography blog archives for May, 2015.